I love dresses so much, I think you can wear them any time, day or night, all depends what it is paired with. The first time I wore this dress was almost a year ago on the first night of passover with heels and a 7 months baby bump. 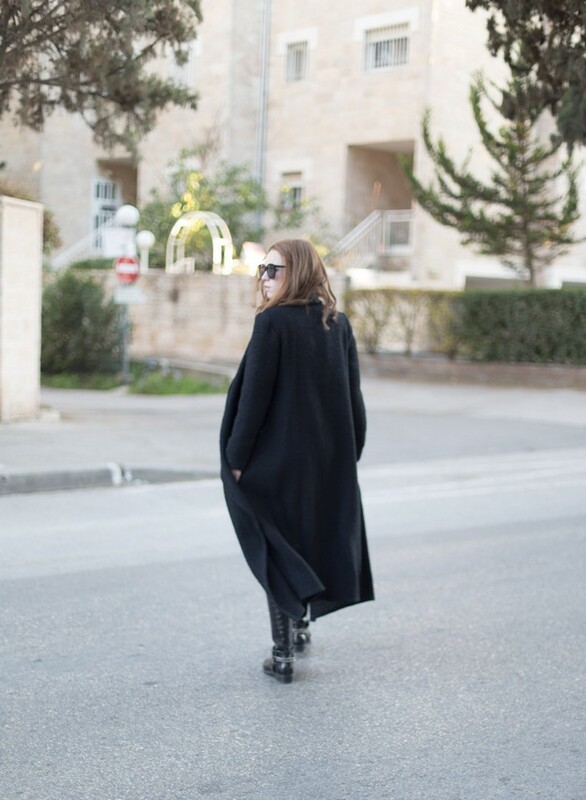 Here I I’m wearing this dress super dressed down with high riding boots and a favorite black coat designed by my good friend Adi Yair. Quick tip: A red dress is the ultimate color choice for the first day of Passover, and I speak from experience when I say this 🙂 Have a great week! love the look!! love love love the coat!!! AMAZING!!! !